We arrived at the Blue Hole around 11:30am and started getting ready to dive. 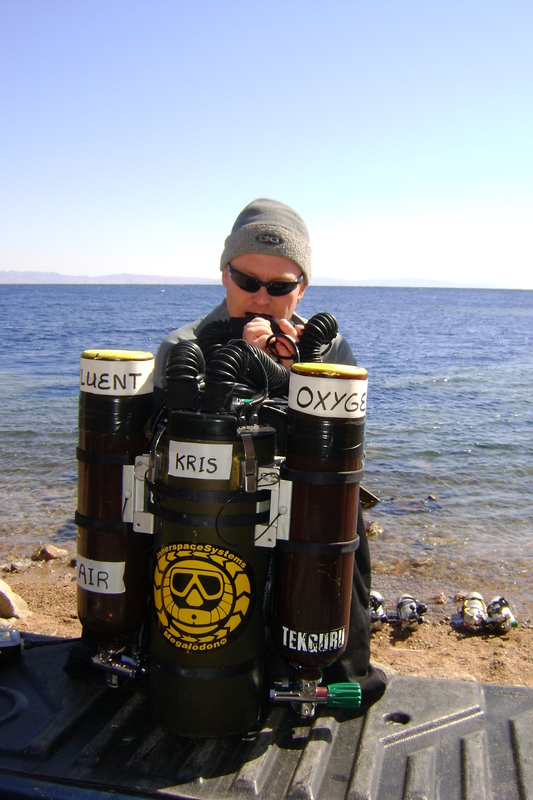 We were soon finished with the pre-dive checks and ready to get into the water. Marielle would be wearing a set of twin 12 liter open circuit tanks and I would be diving with my Megalodon eCCR. 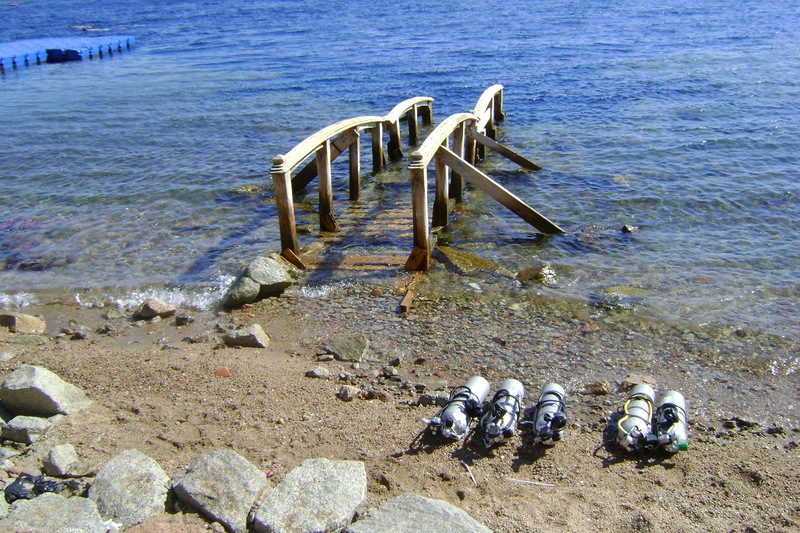 The dive objective was dive to 60 meters, pass the arch and return. We had planned on a 25 minute bottom time while spending our decompression enjoying the reef on the inside of the arch as the weather made it a bit choppy to decompress on the outside. We did a final safety and bubble check in the water and started our descent. We descended the right side of the arch until we reached our maximum depth and started enjoying the beautiful blue light effects. We stayed close to each other and at 23 minutes gave the signal to start our ascent. As we slowly ascended completing our decompression obligations we swam around the reef wall and examined all of the small cracks and holes in the reef, pointing out anything we found interesting. After the 80 minute runtime and an additional 3 minute safety stop we were on the surface. On the surface, our driver was waiting for us to help with putting the equipment back into the truck for the short return trip back to the dive center, where we would begin preparations for the following days dive. 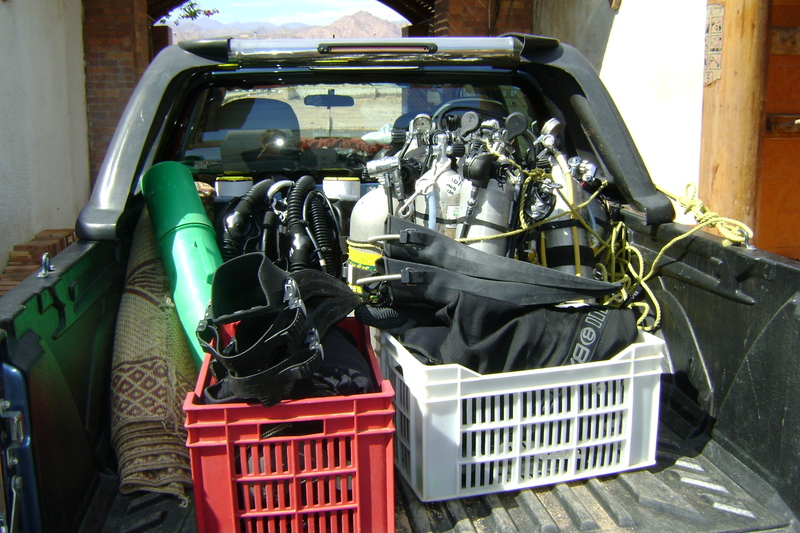 « Trimix Diving in Dahab..